The popular singer-songwriter is one of British music’s biggest stars with record sales exceeding 10 million. Up to 10,000 fans are expected to descend on the park for the event. 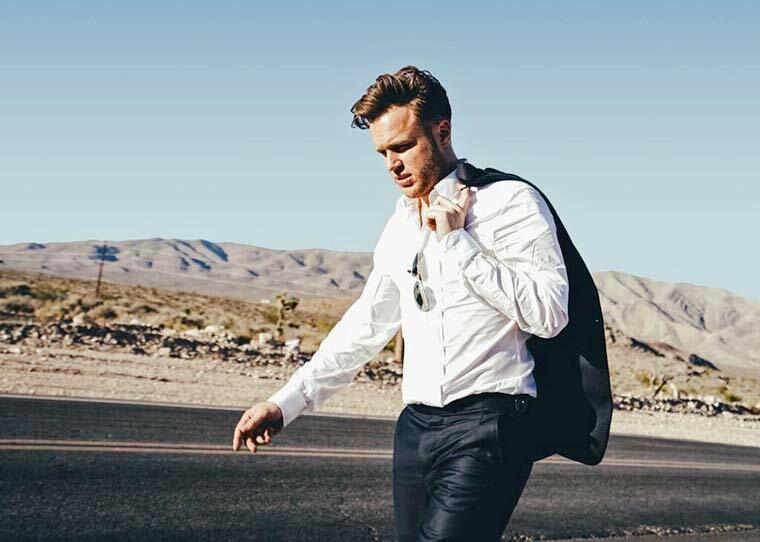 This month Olly scored an amazing fourth consecutive number one album with his latest, most personal offering 24 Hrs. ‘Years and Years’ is the new album’s centrepiece and follows the radio favourites ‘You Don’t Know Love’ and ‘Grow Up’ which Olly recently performed on the X Factor. The former X Factor runner up is also appearing in Bournemouth on 28 March as part of a 21-date spring arena tour. The BIC show sold out in hours. Olly said: “I’m so pleased to be playing Bournemouth again. It is one of my favourite places and an outdoor gig is always something very special. Last summer Olly performed to 65,000 people in Hyde Park as a guest of Take That, further confirming his reputation as one of Britain’s very best live performers. Entry tickets for Kings Park are £39.50 with Golden Circle pit tickets at £55, both subject to a booking fee and go on sale at 10am on Friday, 2 December. There is a limited availability of VIP Lounge hospitality tickets. For hospitality bookings call 01202 255161.